Alex Nagorniy is an associate in Nutter’s Intellectual Property Department. Clients rely on his counsel to help devise strategies to maintain comprehensive patent portfolios, prepare and prosecute applications in the chemical and mechanical arts, and obtain trademark protection. Drawing on his experience as a project manager as well as on his engineering background, Alex focuses on the chemical, electro-mechanical, and medical device technical fields to assist a broad range of clients through the process of obtaining patent and trademark protection for a wide range of intellectual property matters. Client goal: Secure broad patent coverage for clients’ products. Project experience: Prosecuted patents in a broad array of industries, including the chemical arts, medical devices, and computer hardware and software. Client Goal: Navigate complex patent issues. Project experience: assist with drafting applications and claims that increase the breadth of clients’ patent portfolios. Client Goal: Determine litigation strategy for patent infringement trial. Project experience: member of the Nutter team tasked with researching damages apportionment and licensing issues for upcoming litigation. Alex stays up to date on intellectual property matters by being a member of the Boston Patent Law Association and the American Intellectual Property Law Association (AIPLA). He is a regular contributor to the Nutter IP Bulletin, where he researches and authors articles on current developments in the intellectual property field that are relevant to his clients’ needs. 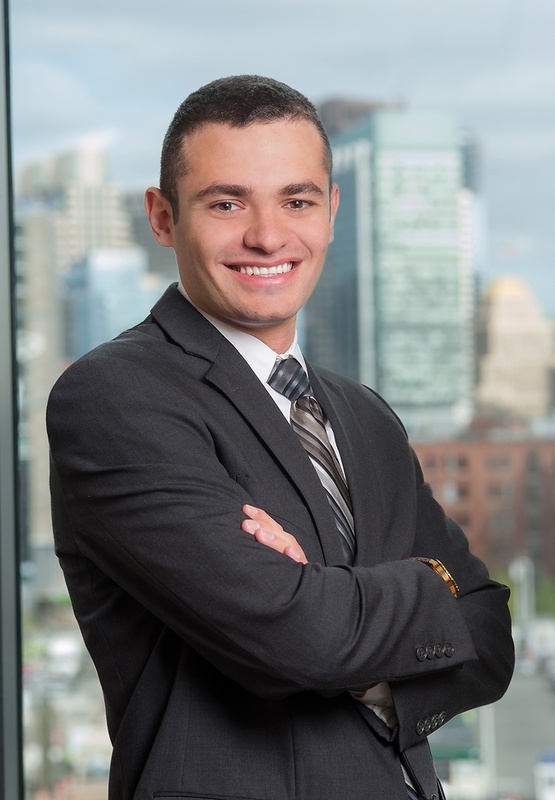 In addition to his summer associate work at Nutter, Alex’s professional experience includes interning for the Honorable A. Kathleen Tomlinson of the United States District Court, Eastern District of New York. Prior to law school, Alex worked as a software product analyst and project manager at AvePoint, Inc., where he supervised the development of the company’s Microsoft SharePoint data recovery and storage optimization software solution. He collaborated with general counsel to negotiate and manage multi-year reseller and partnership contracts with hardware vendors. During law school, Alex served as an article editor for the Journal of Science & Technology Law and was a member of the IP Law Society. He was a teaching assistant at the Kilachand Honors College for a course that explored the impact of intellectual property law, biomedical engineering. and public health on modern technological innovation and the secretary of the Communication, Entertainment, Sports Law Association. Alex worked as a software product analyst and project manager at AvePoint, Inc., where he supervised the development of the company’s Microsoft SharePoint data recovery and storage optimization software solution. During law school, Alex served as an article editor for the Journal of Science & Technology Law and was a member of the IP Law Society.